We all solicit, teach, encourage, and promote WCS to newbies all the time in an effort to grow our community. But the first rule of marketing is “know your customer”. How can we hope to attract and retain new Westies unless we step into their shoes and figure out what concerns they have, what orientation they need, and what “If only somebody had told me” tidbits of information might make the difference between them finding Westie Heaven or Westie Wasteland? …kiss?…job?…day of Kindergarten?…heartbreak?…car purchase?…exposure to dance? How about your first 4 months of WCS? Do you remember your impressions of the dance? of the teachers? of the dancers? Or was it all a blur, replaced by the blissful new dance life you have evolved into? Once you get immersed in the Westie community, it’s hard to remember what life was like before dancing. Once we understand how something works, it’s hard to recall what it was like to be confused. Over the years, we have collected questions from both Beginner and Experienced dancers. They live on our website in the FAQ section, which grows constantly. It’s kind of a gold mine of information, that really needs to be exposed and serve the people! So, “your mission, should you choose to accept it”: “share” this FAQ Bank: on Facebook, website links, emails, etc. Need help with Facebook? Check out last week’s article! This way, we can all help do our part in fostering and nurturing the next wave of social dancers we’re going to get to play with! Here’s a list of the questions: their answers live on our website, in the menu section “About WCS”, where you can find loads of other resources. 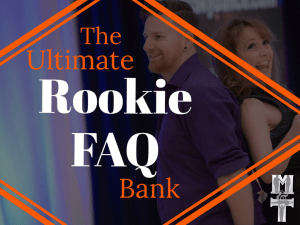 The Bank is divided into questions for New Dancers and questions for Experienced Dancers. Our intention is to keep adding to it: this is a growing resource! Got any to suggest? Please help us grow this bank by sending us your suggestions! Don’t I need a partner? How do I choose an instructor? Does it matter where I take lessons? What is a “Swing Club”? Should I sign up for group classes or private lessons? My guy friends will think I’m a wimp. I heard it was hard to learn? What’s the climate like for LGBT people? Why is it called West Coast Swing? I thought Swing was a Country Dance? I thought Swing was a Ballroom dance? Don’t you have to dance to old Big Band music from the 1950’s? Can you do it in a Club? I did Swing in school – is it the same thing? I saw Swing in a movie – is it the same thing? Didn’t I see West Coast Swing on TV? How does it compare to other dances? But I saw dancers doing WCS and it looked nothing like what I learned? I took a class last year, so I know my basics, isn’t that enough? Can I use my moves from another dance style? Is there competition? Do I have to be really good to compete? I have lots of classical dance training – is this an advantage or disadvantage? How can I fit in better? I’ve finished the Beginner series at my studio, how many more levels are there? I’ve been taking group classes, but I can never tell if I’m doing it right? My significant other wants to learn now too – can we take lessons together? I learned WCS 10 years ago – I’m rusty, but do I just need practice to catch up? Every instructor seems to teach the dance differently – I’m confused! Why do advanced dancers follow me perfectly, but beginner followers can’t? How important is the “stretch” thing? Can I get away without doing it? Why do most classes teach patterns, yet everyone says to just go with the music? How come the top dancers don’t do their triple steps? “When in doubt, Ripple or Triple” – does this have any merit? I only like modern music and movement. Why do I need to study older stuff? I like dancing to Blues music but I can’t hear the beat of Contemporary music. I like Contemporary music but I don’t get the appeal of Blues music. I’m not a musician, so I can’t tell when a break is coming. How do I “hit it”? Advanced dancers look so “in tune” with the music – how do they do that? Where can I get WCS music to practice to? I’m bored – how can I expand my repertoire? What is “Blues Dancing”? Isn’t it the same as West Coast Swing to Blues music? How hard is it to convert Lindy to WCS? Ballroom to WCS? People have asked me to teach them privately. Should I? I would like to try attending a dance event. Where should I go? I have seen the Swing Dance Council’s Event Directory, but how do I know which event is a good one for dancers from Overseas? Aren’t dance events just for serious competitors? I went dancing out of town and WCS looked way different. Where can I learn without traveling? I’d like to dance a choreographed routine. How do I start? Are routines just for Professionals? What are the benefits of doing a routine? I don’t want to compete against the Pros. Can I still do a routine? In another dance style, I learned a routine as part of a class. Is that available in WCS? Like this content? This is just the tip of the iceberg! Check out the rest of the Coach’s Corner library of articles! Intrigued by our writing and teaching style? 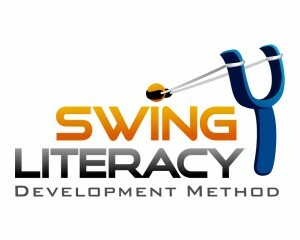 You need to check our Swing Literacy Development Method, a proven training program for dancers and unparalleled Teacher Education Program.